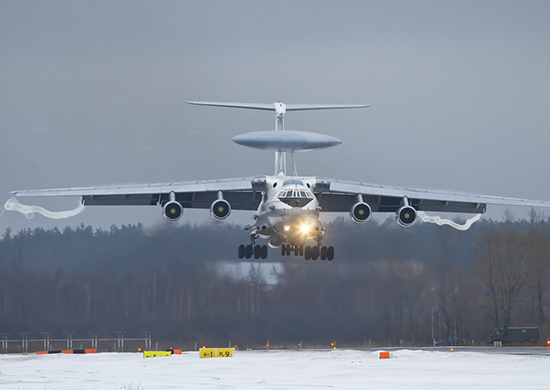 The upgraded A-50U long-range radar detection and control aircraft entered military transport aviation of Russian Air and Space Forces. It is intended for detecting, tracking and determining the belonging of air, large land and sea targets, issuing information about them to command posts, and pointing aircraft to destroy detected targets. In the modification A-50U, the flight range was increased, the number of simultaneously accompanied targets and airplanes aimed at them increased, a radio engineering complex with digital signal processing was installed.